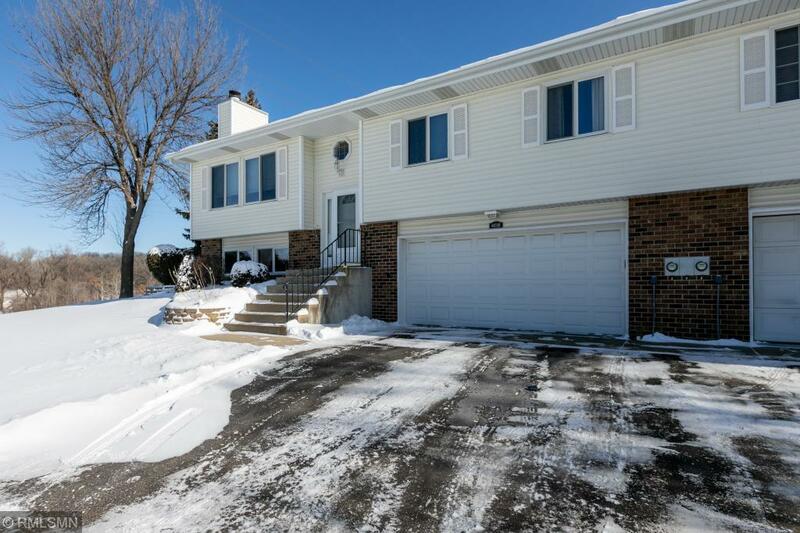 Modern and updated 2BR+den quad home in great Eagan location! Vinyl replacement windows, vaulted ceilings, skylight, large updated kitchen & bathroom, and more! The spacious master BR has a walk-in closet & walk-thru upper level full bath. Enjoy the deck w/ views of lots of greenspace and pond, right next to walking/biking path. The lower level has a den, family room, &3/4 bath. Welcome home!